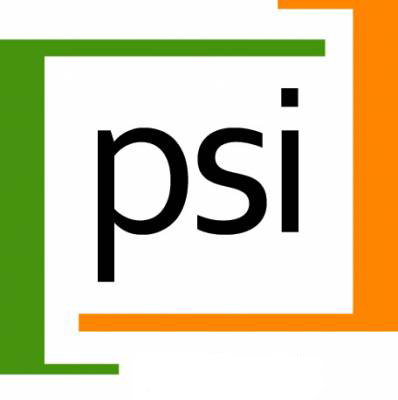 With over 45 years of experience, working in over 60 countries, Population Services International (PSI) is the world’s leading non-profit social marketing organization. PSI is reimagining healthcare, by putting the consumer at the center, and wherever possible – bringing care to the front door. We are working to fix market failures, shape future health markets and shift policy and funding to better support consumer empowered healthcare. There are over 8,000 “PSI’ers” around the world. We are a diverse group of entrepreneurial development professionals with a wide range of backgrounds and experience. All with unique skills that we bring to the critically important work that we do. PSI and its local affiliates manage malaria control programs in 32 countries and are world leaders in malaria control implementation delivering 42 million treated mosquito nets and almost 19 million quality-assured ACTs for confirmed malaria cases in 2016. PSI also supports national Ministries of Health to scale up malaria diagnosis especially in the private sector and to improve tracking of malaria patients through surveillance and health information systems, especially DHIS2. We are looking for Director of Finance to assist the Chief of Party in leading an anticipated $50 million 5-year Malaria Bednet Delivery USAID-funded project in Tanzania with an anticipated award date of May 2019. The Director of Finance will be responsible for the overall finance and administrative management of the project. He/She will play a key role in ensuring that all the finance and administration teams have the required tools, processes and talent to meet their objective of acting as strategic partners to the rest of the organization. He/she is the custodian of accounting and financial process to ensure the project is compliant with donor and PSI global standards and that the processes are enabling the implementing teams achieve project targets while driving efficiency. Sounds like you? Read on. Provide leadership, supervise, and mentor administrative and financial staff to effect sound project management, fiscal and administrative due diligence, and the development of organizational and individual capacities. Establish standard operating policies and procedures, and identify and implement changes in administrative and financial policies and procedures that will enhance the cost effectiveness of program implementation. Execute operational planning/budgeting procedures and tools that require technical units to provide adequate notice of support needs to financial, administrative, logistical, HR, and procurement units. Assist the COP to arrange technical and administrative support for short-term consultants and contractors, including orientation on Project functions and support. Oversee project financial management, including, budgeting, expenditure tracking, and financial reporting transparently and compliantly. Support Project efforts when requested by the COP and DCOP. The successful candidate will be required to pass a background check. What would get us excited? Experienced manager: You have leadership experience on a USAID project, and have strong USAID contract experience. This position is contingent upon funding. *Due to high volume of applications, only finalists will be contacted. Curious about your status? Please log into your iCIMS account to find out.